Commandos, the trailblazing real-time strategy series which set the benchmark for stealth-based games, features in The Ultimate Commandos bundle from Bundle Stars! 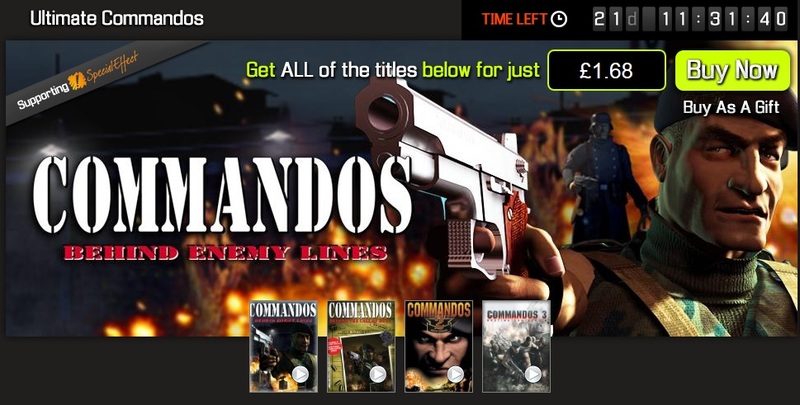 September 25th, 2013 | Tags: Bundle Stars, charity, Commandos, Commandos 2: Men of Courage, Commandos 3: Destination Berlin, Commandos: Behind Enemy Lines, Commandos: Beyond the Call of Duty, indie, indie bundle, stealth, strategy, The Ultimate Commandos Bundle. My interest in EA’s Crysis 2 demo comes more from friends’ excitement about the game than anything else, as I’ve not even played the original game. 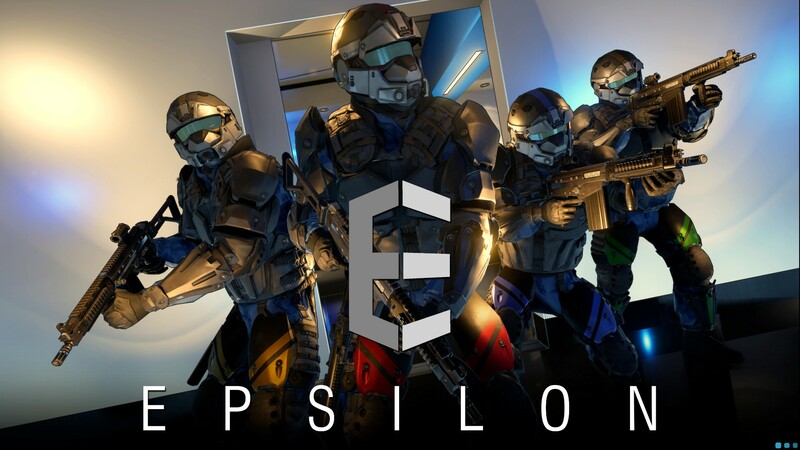 I didn’t have any real idea of what to expect from the multiplayer, so I was glad of the intro on launch which gave a quick run through of the nanosuit and the objectives of the different game-modes. Be strong; be fast; be invisible.. all possible thanks to the rather interesting nanosuit, a battlesuit which gives you improved armour, speed or invisibility depending on how you like to play.. speed is always fun, and I loved the idea of the ground stomp, though as yet I have to actually use it on a target. I found the armour just didn’t seem to last very long or add much protection when in a direct confrontation with an enemy. I preferred stealth as this allowed me to get out of trouble while on low health, as well as helping in attempts to sneak up behind enemies. I also found via watching one of my deaths on kill-cam, that the enemy can still see you while stealthed thanks to your shadow, which still appears as normal! There were two maps and game-modes to choose from: Skyline, an instant-action team game, and Pier 17, which had alien drop pods to capture. I rather liked this mode as it added a bit more direction to the game. If you were unable to secure the pod for your team and then defend it, all was not lost as a new pod would be dropped at another location on the map. Of the two available maps, I preferred Skyline with its variety of indoor and outdoor areas and accessible roofs. I also liked how the greenhouses changed through the round.. you can climb up and run along the top of them at the start, until stray bullets smash the glass leaving gaping holes for you to fall through instead. 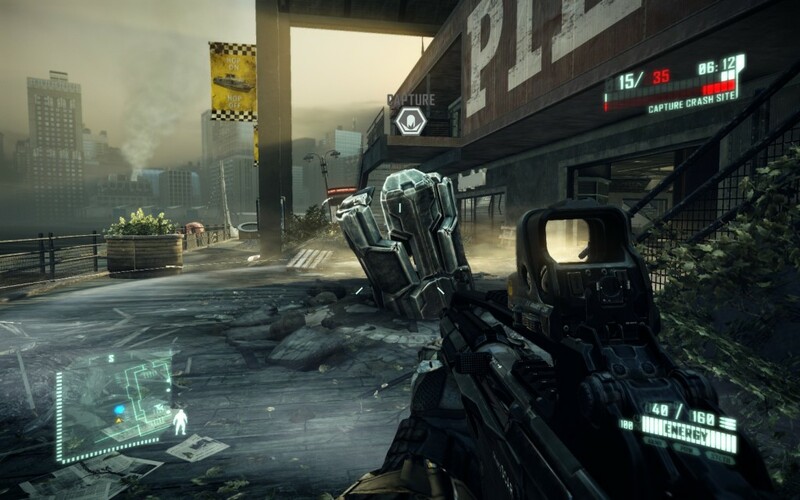 March 2nd, 2011 | Tags: Crysis 2, demo, EA, multiplayer, nanosuit, stealth. 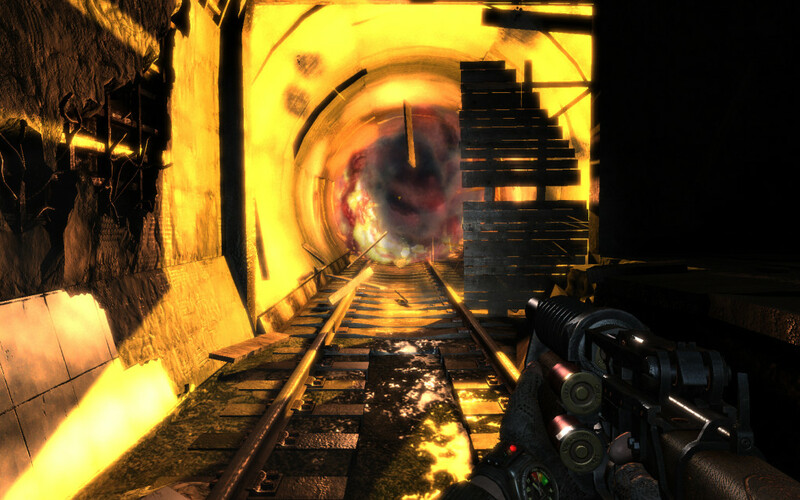 When I first heard of Metro 2033, all I could think of was how similar it sounded to Fallout.. humanity surviving underground following nuclear devestation, scavenging for survival, mutant creatures. So, as I loved the Fallout series, I wanted this game from fairly early on. Friday was launch day, and so I got home, installed the game and started there and then. Another comparison to the Fallout games? I found myself playing for a good few hours, barely noticing the time go past. The atmosphere is amazing, especially in the Metro stations where you can hear everything that’s going on all around you. Wearing the mask for extended periods will also lead it to fog up, making it harder to see. If you’re fighting while wearing it, you’ll also notice it developing cracks, and eventually breaking..
Once there’s a hole in your mask, you need to change it for a new one (there will be a few laying around in places), or you will start to gasp, wheeze, and eventually keel over and die. The weapons start off quite weak, especially when using hand-made bullets. You could use the good, shiny bullets, which are much higher-powered, but since they double as currency, using them might mean you can’t upgrade your weapon at the next station. 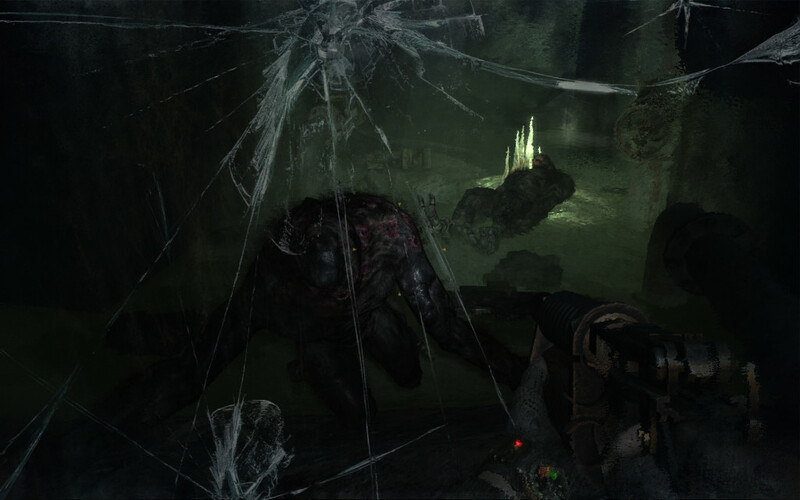 Some of the monsters were frustrating, especially when low on ammo – I’m looking at you, Librarian – but it was nice to be challenged. All in all, I thought there was a great mix of action and stealth, with a few puzzles and surprises thown in there as well. I also enjoyed the last section, ‘Ethereal’; running away from the Dark One who wanted to kill me, before finally getting a weapon.. After dealing with him, I had my choice of ending: “If it’s hostile, kill it”, or “find the truth”. Considering my track record of non-completion, and the fact I spent around twelve hours playing Garry’s mod with friends (I’m blaming the friends for the amount of time there).. I’m quite pleased with myself for completing this in the first weekend! 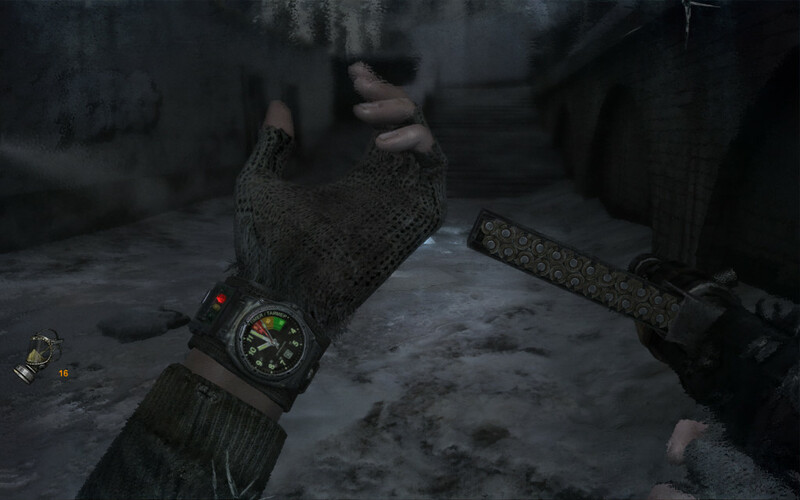 March 21st, 2010 | Tags: Fallout, FPS, Garry's Mod, Metro 2033, stealth.